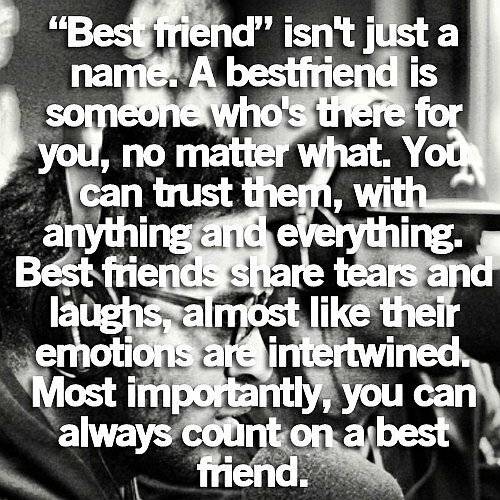 Best friend is not just a name. A best friend is someone who’s there for you, no matter what. You can trust them, with anything and everything. Best friends share tears and laughs, almost like their emotions are intertwined. Most importantly, you can always count on a best friend.